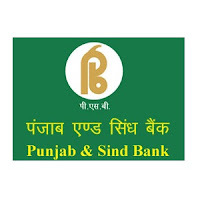 Punjab and Sind Bank Jobs Recruitment Notification 2019. 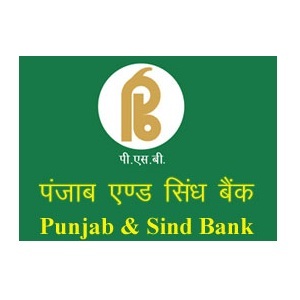 Punjab and Sind Bank invites applications for the positions of Clerk. Interested and Eligible candidates can apply for the positions. 2. Sports Eligibility: Should have represented the State in National event or the District in State Level event with distinction or his University in an inter-university event with distinction or if he was a member of the combined universities teams. 3. Pay Scale: 11765-655(3), 13730-8150), 16175-980(4), 20095-1145(7), 28110-2120(1), 30230- 1310(1), 31540 (20 Years) besides other allowances like DA, HRA etc. as per Bank Rules. For candidates belonging to SC/ST/PC/ Ex-servicemen Categories, there is no application fee except intimation charge of Rs.50/-, For all others, the application fee is Rs.100/-. Dy. General Manager Cell), Head Office, Human Resource Development Department, 21 Rajendra Place, Bank House, New Delhi 110008. 1. Before applying for the post, the candidate should ensure that he fulfills the eligibility criteria mentioned above. In case it is detected at any stage of recruitment, that a candidate does not fulfill the eligibility norms and/or that he has furnished any incorrect/false information or has suppressed any material his candidature will stand canceled. If any Of the above shortcoming(s) is/are detected even after appointment, his appointment is liable to be terminated without any notice. In such an eventuality, the candidate may also render himself liable to criminal prosecution. 3. The decision of the Bank regarding eligibility of the candidates, the stage at which scrutiny Of eligibility is to be undertaken, qualifications and Other eligibility criteria, the documents to be produced for the purpose of conduct of field trials/interview etc. and any other matter relating to recruitment will be final and binding on the candidates. No correspondence or personal inquiries shall be entertained by the Bank in this regard. 4. Mere submission of application against the advertisement and apparently fulfilling the criteria as prescribed in the advertisement would not confer on the candidate any right to be called for trials. Only shortlisted candidates will be called for trials. 6. signing any reason and the decision of the Bank in respect of all matters to this recruitment would be final and binding on all candidates. 7. The Bank takes responsibility for loss of application in transit any delay in receipt.tnon-receipt of application/any communication. 9. Appointment of the selected candidate is subj«t to their being declared medically fit as per the requirement of the Such anointment will also subject to Service, Condition Rules & Policies of the Bank. 10. Candidate should a valid email ID which be indicated in and Etive during the currency Of the recruitment to call knitter and if any. 11. who are in Government' quasi Pvt. Public Undertakings (including Banks and Financial Institutions) will be required to a "No Objection Certificate" from their employer at the time of field triaWinterview, in the absence of which. t}Eir candidature may be considered. 12. candidates selected will be posted in Punjab. However, they may be transferred to any place in India as per the future requirements of the Bank. Candidates should log-on to our website www.psbindia.com link and fill the online application form and submit it to the bank at the below mentioned address by Speed/Registered post along with a Demand Draft in favour of Punjab & Sind Bank and copies of other supporting documents in the super-scribed 'Application for the post of Hockey Player'. Dy. General Manager Cell), Head Office, Human Resource Development Department, 21 Rajendra Place, Bank House, New Delhi 110008. Incomplete applications, applications without Demand Draft & supporting documents (i.e. relevant copies of Educational/ Sports Certificates as mentioned above) or application not in prescribed format or not signed by the candidate or incomplete in any respect will not be entertained by the Bank. The applications received after the last date shall also be entertained. Candidate should keep a photocopy of the completed application and Ikrnand Draft as the same are to be produced at the time of field trials. all candidates should submit self-attested copies of their educational'sports qualification certificates along with their application. candidates belonging to scist/obc categories are also required to submit a self- attested copy of their caste certificate.